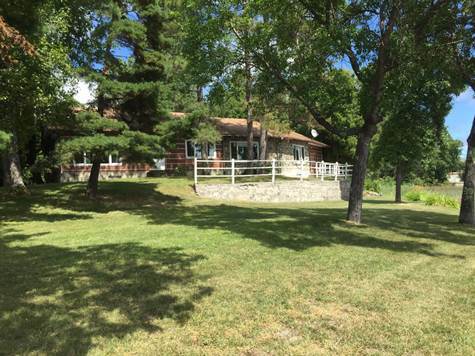 Prime Lakefront Location in the Heart of Sioux Lookout. Enjoy Park-like Living in this 3 BR Character Home with Attached Garage - Spacious LR/DR with Beamed Ceiling and Stone fireplace - Galley Kitchen with Dining Nook - Convenient Main Floor Laundry Room. Deck, Dock and Sand Beach for Summer Enjoyment!